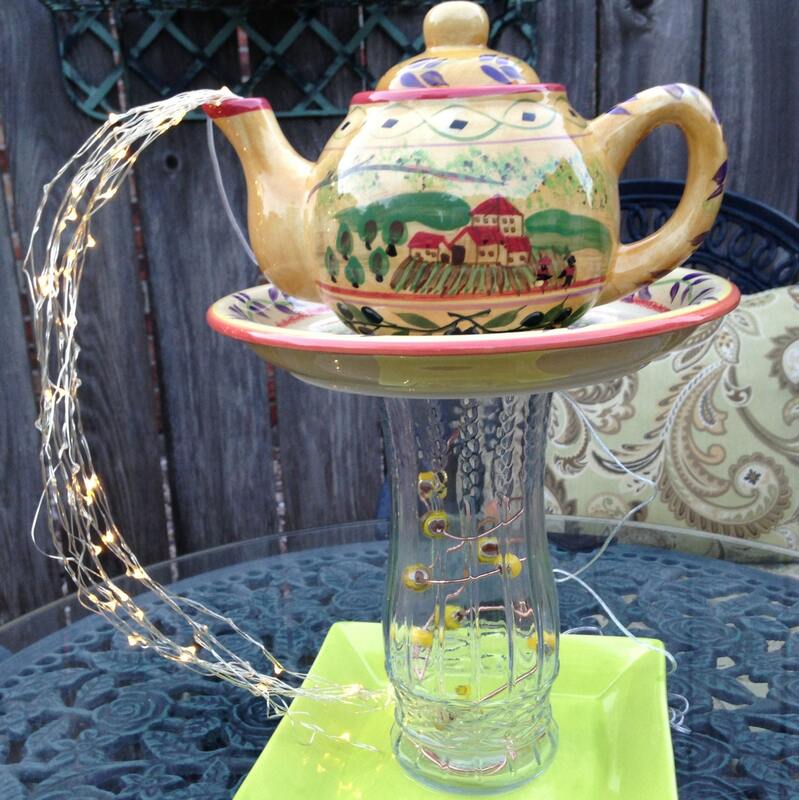 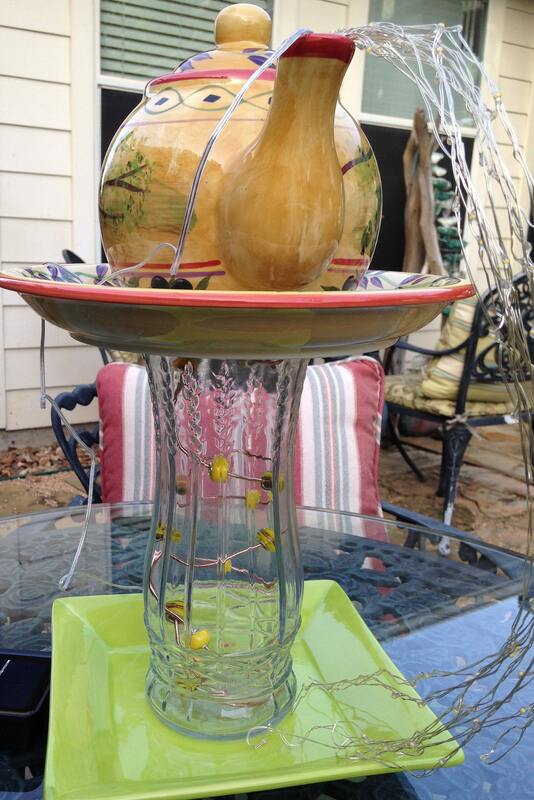 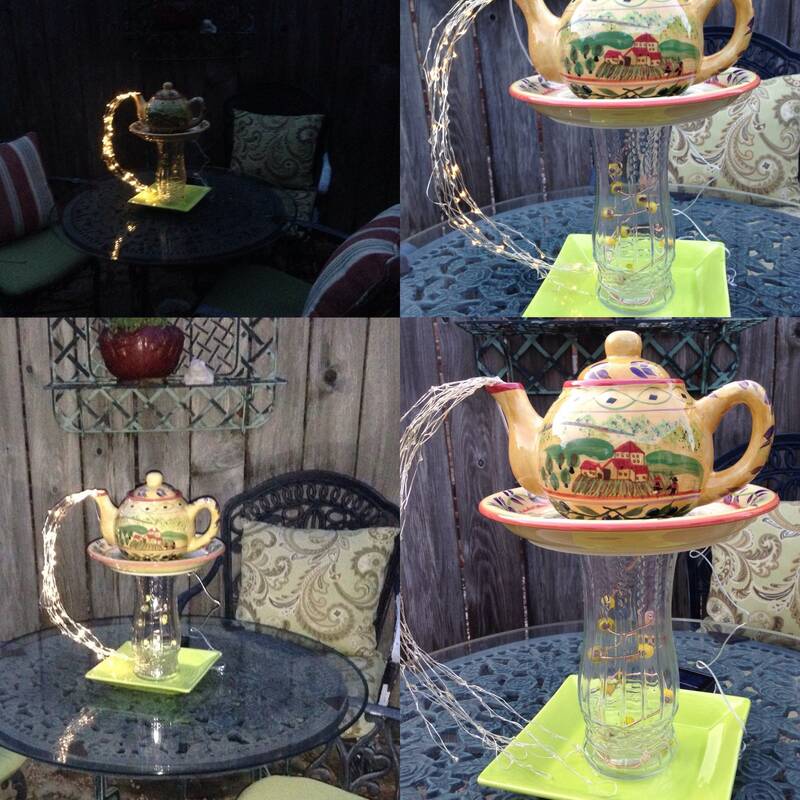 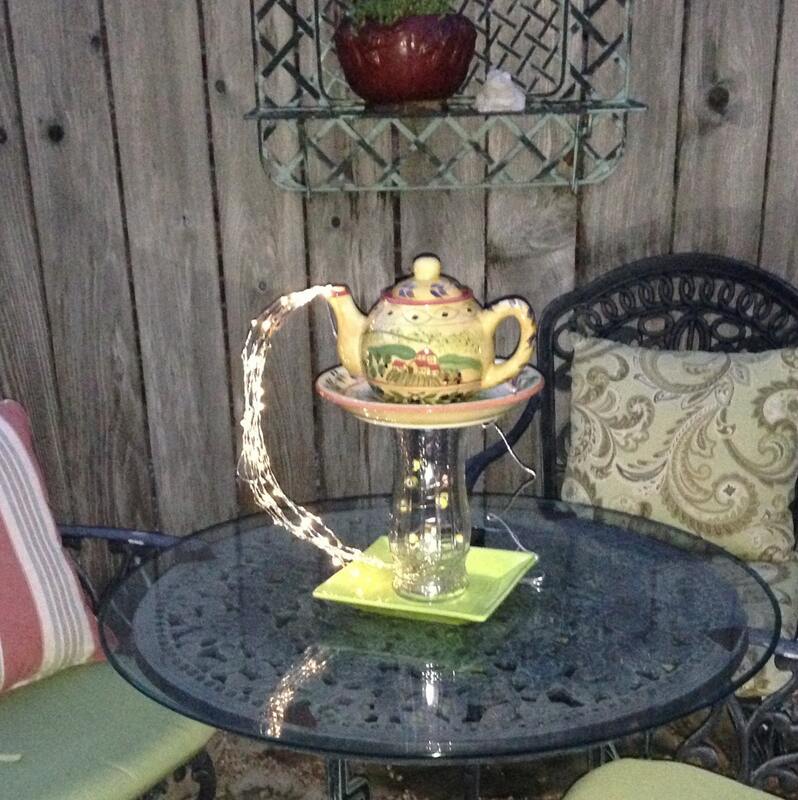 This beautiful lighted teapot tower is perfect for your outdoor garden spot. 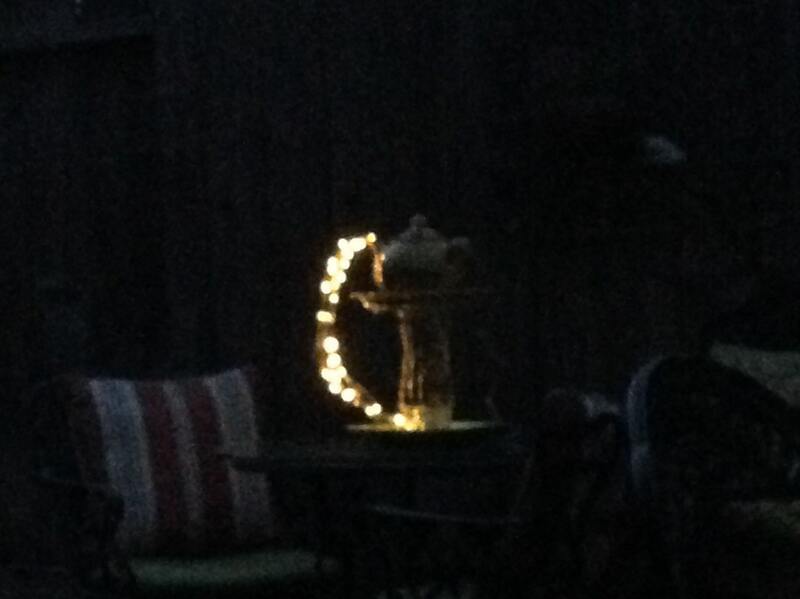 With the timed lights it adds a bit of whimsy all day long. 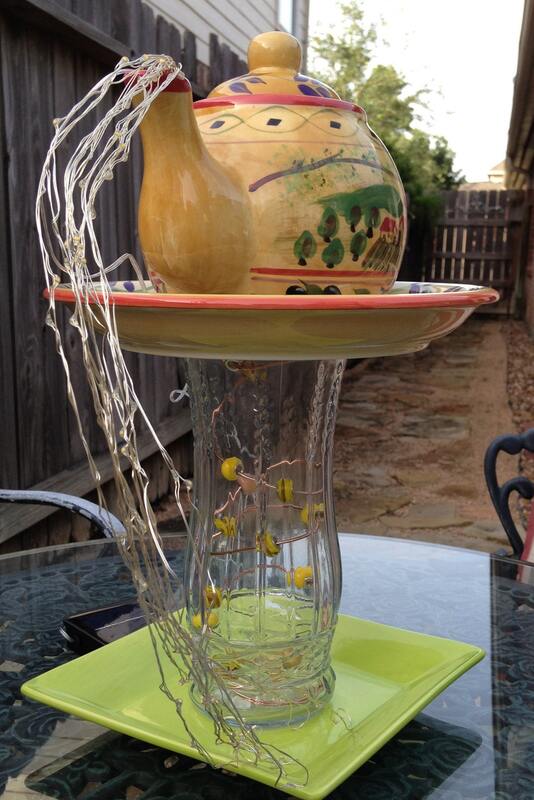 The bottom plate is a green square topped with a fluted glass vase that encloses a copper spiral beaded with yellow and gold beads. 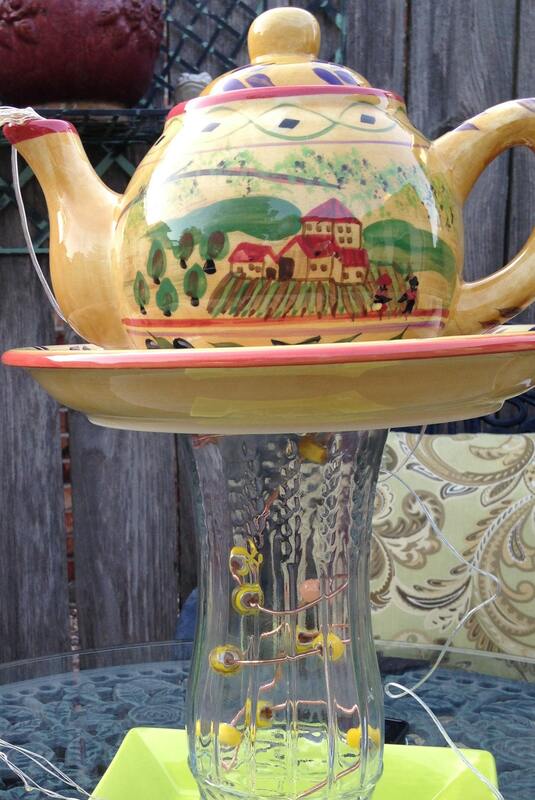 This is topped off with a ceramic plate that matches the yellow printed teapot on top. 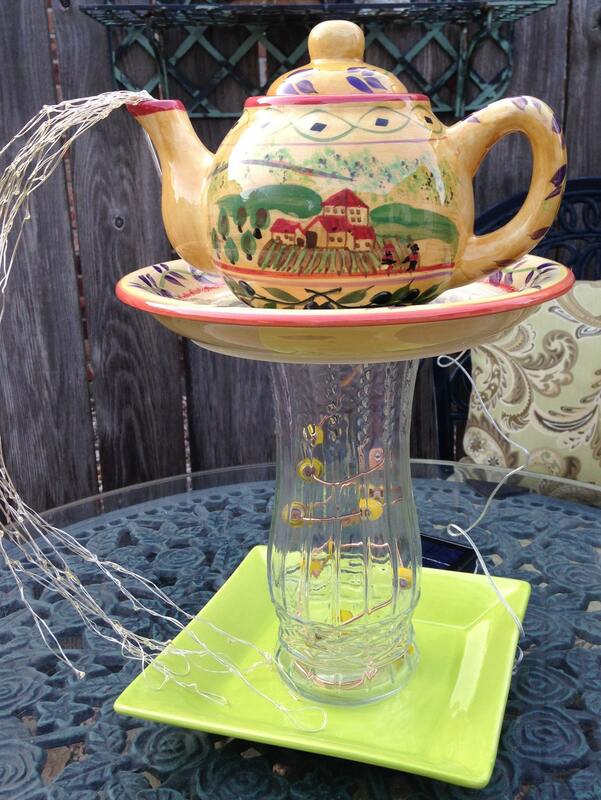 All pieces are glued using high quality outdoor adhesive. 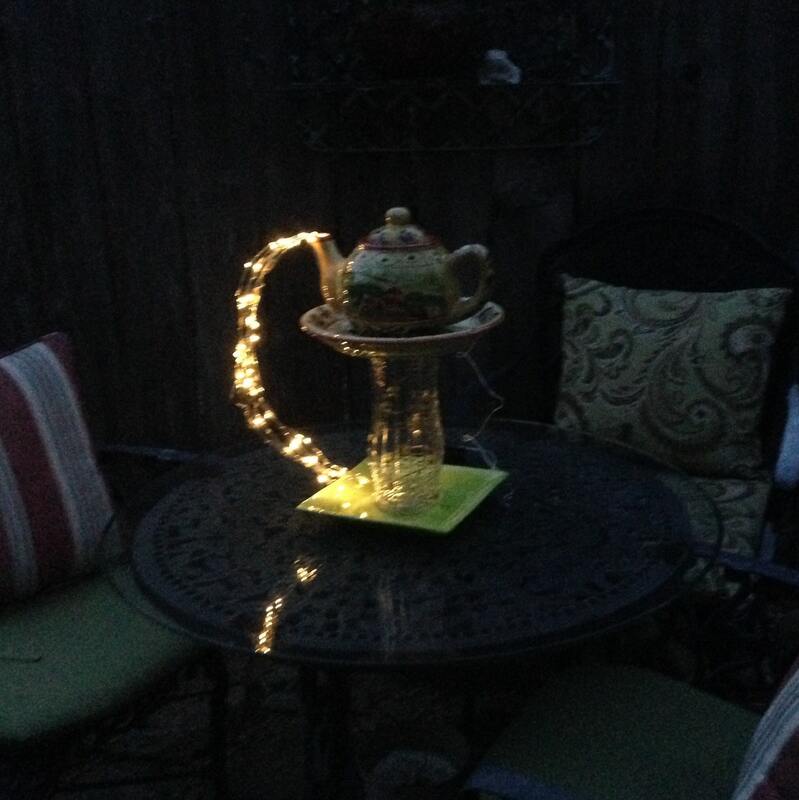 The teapot top is not glued to allow access to the lights. 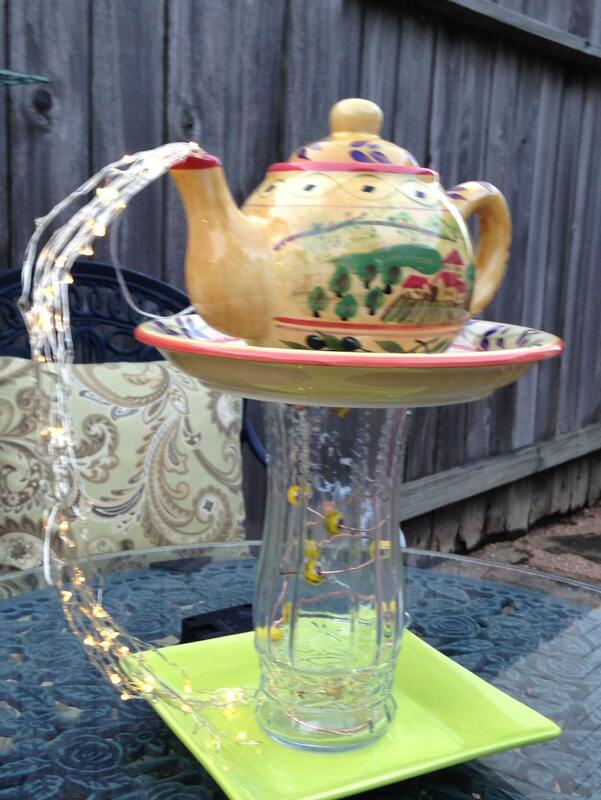 The twinkling waterfall lights are solar powered and gracefully cascade from the teapot spout.